You are here: Home / Jewelry / Bracelets / Photo recap: NYC jewelry adventures. Photo recap: NYC jewelry adventures. If you follow me on twitter or Instagram, you already know that Mr. DitL and I journeyed to the Big Apple for our MLK day long weekend. It was a last minute, whirlwind trip and a wonderful one. 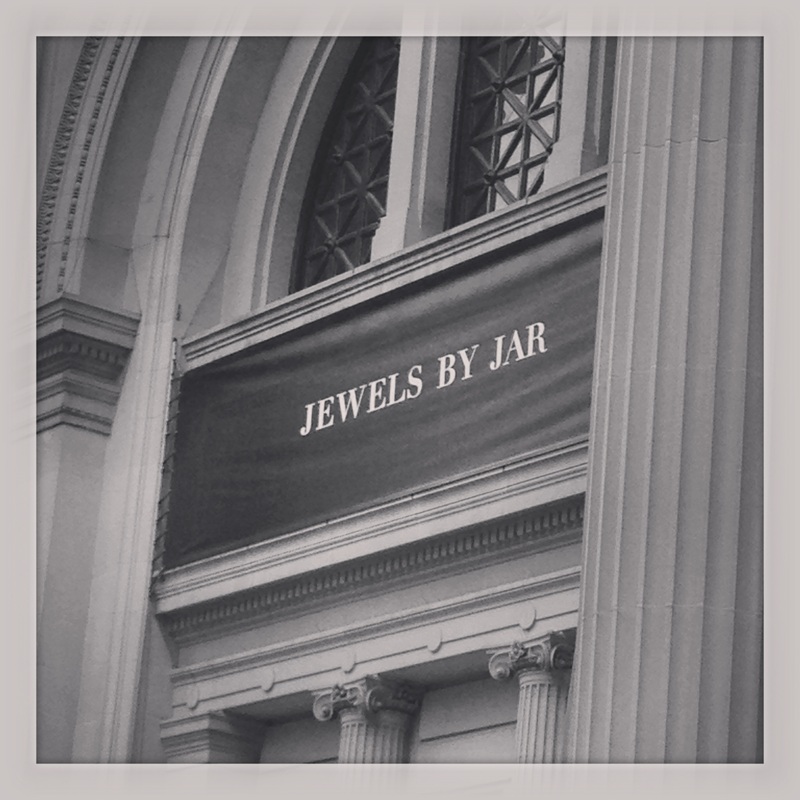 I oogled the JAR jewels at The Met, caught up with some fabulous old friends, had drinks with the marvelous Wendy Brandes (who let me wear one of her rings!!) and her charming husband, and – of course, saw as much NYC jewelery as possible. There’s been a lot of talk about the design of the JAR exhibit. I thoroughly enjoyed seeing it – I spent about four hours there and wish I could have stayed longer – but I have to say that I was a little confused by the display choices. I checked the program for each piece and was repeatedly dissatisfied with the scant information included. I wonder if the curator might have been acting out of a desire to let the jewels speak for themselves, which I suppose is understandable. What I found not at all understandable was the lighting. A dark room could have lent mystery to the exhibit and highlighted the jewels, but these dim display cases seriously affected visitors’ ability to see the pieces’ detail and color. 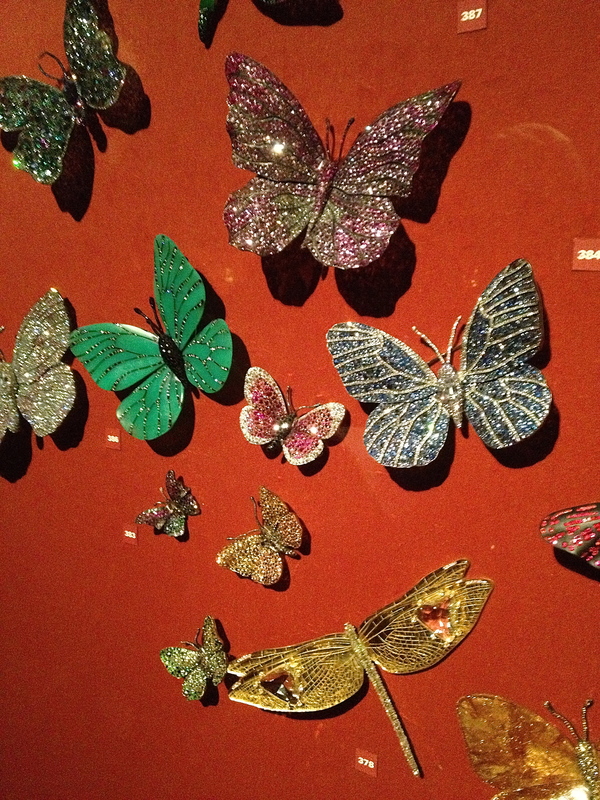 When I reached the famous butterfly wall, a museum guard shone his flashlight on the butterflies and everyone nearby – myself included – gasped. The butterflies had been lovely before, but with the brighter light they were magnificent. I couldn’t take photos of the JAR pieces, but I did capture some of other pretties I met in the city. The magnificent Me & Ro earring you see above is made from 10,000 to 40,000 year old fossilized Mammoth or Mastodon ivory. 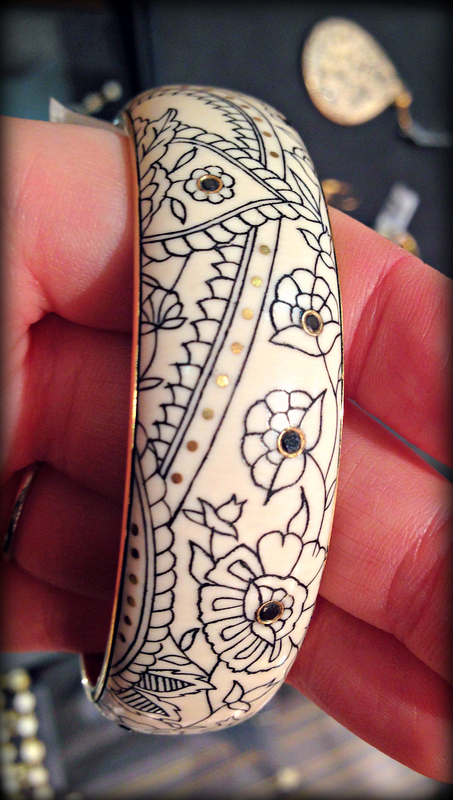 The design is hand-engraved scrimshaw with black diamonds and gold inlay. The gentleman at the Me & Ro store told me that Vogue wanted 10 of these for a shoot and the brand had to decline because there simply wasn’t enough of the material. 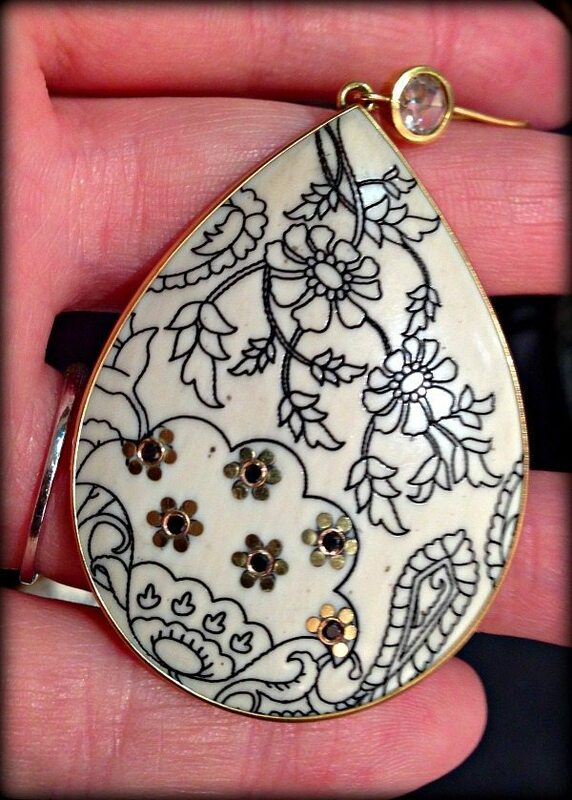 Look how perfect the buttery gold rim is with the creamy ivory and the spidery precision of the dark scrimshaw. This bangle uses the same delicate paisley tracery embellished with small diamonds, but in gold. It was really hard for me to give this one back. I’ve heard Gem Gossip rave about Love Adorned too much not to visit it, and I was not disappointed. My camera did not like the lighting there, but I can at least show you this shot of a little gold watermelon tourmaline ring that I loved. I’d head of Fragments before Beth Bernstein recommend I check it out while I was in town; it’s now officially on my places-to-visit-as-often-as-possible list. 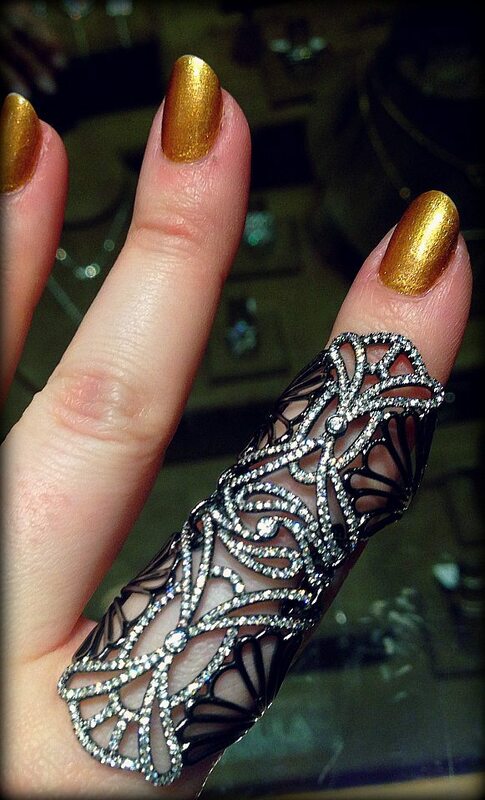 This amazing articulated full-finger ring is by Djula Joaillerie. Isn’t it marvelous? 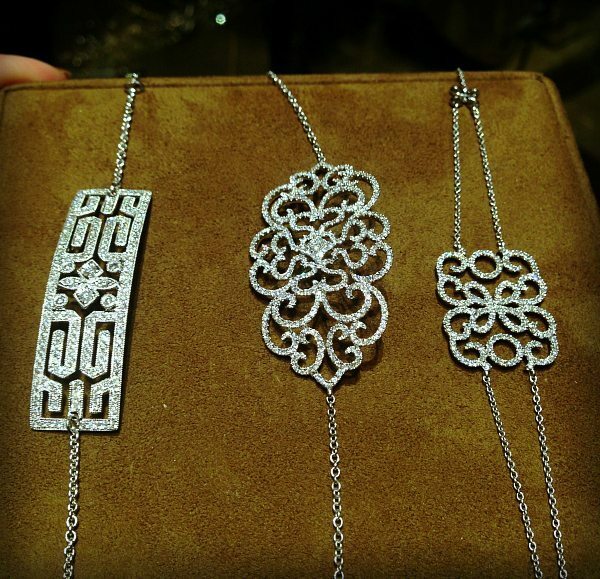 Delicate diamond bracelets also by Djula Joaillerie. 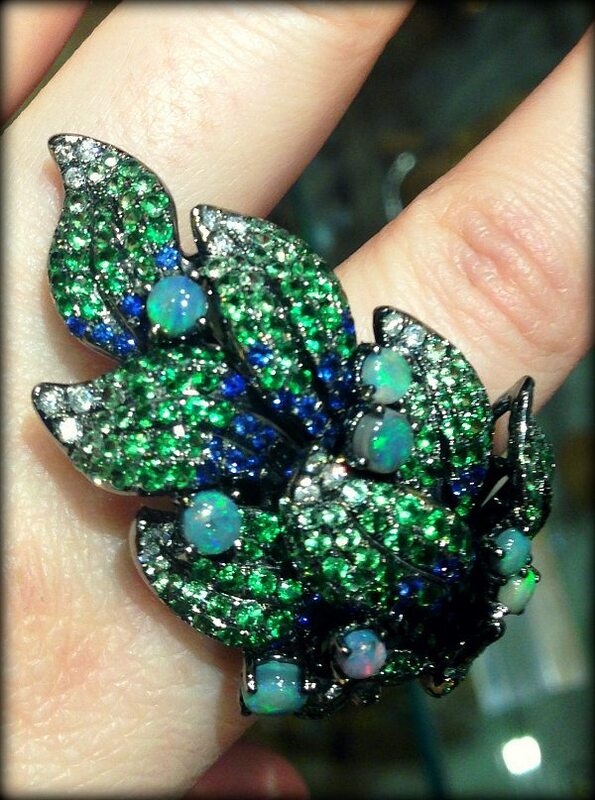 This little beauty by Stephen Webster was also at Fragments and may have been my favorite piece in the store. Butterflies aren’t usually my thing, but this one took my breath away. 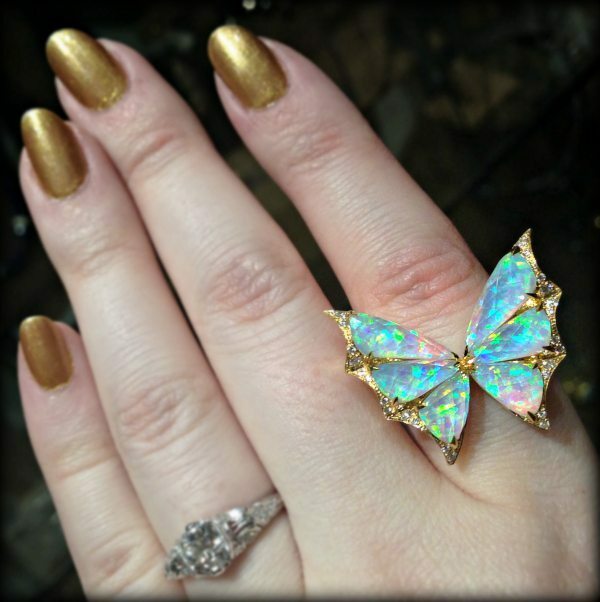 It looks almost more like a fairy than a butterfly – and so wearable, too. The perfect size. 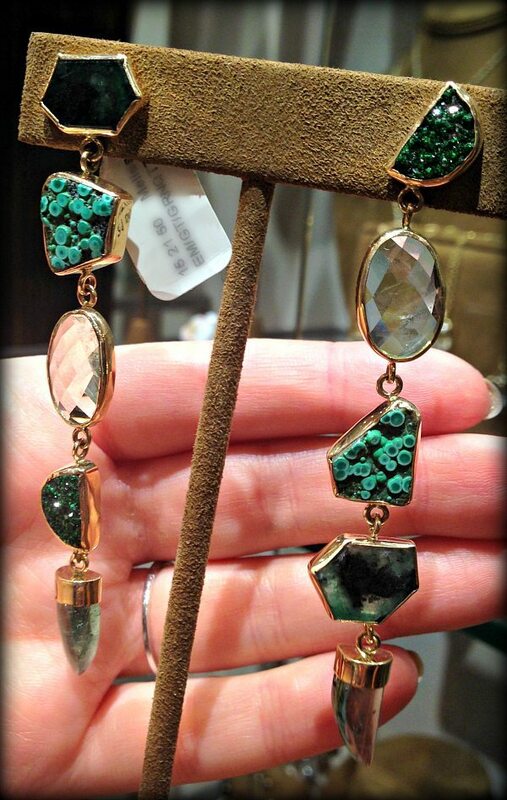 These fabulous earrings are by Melissa Joy Manning. I loved the play of texture and color achieved by the different materials. I’ve been a Wendy Yue fan for a while, but my visit to Fragments was the first time I was able to try on her work for myself. 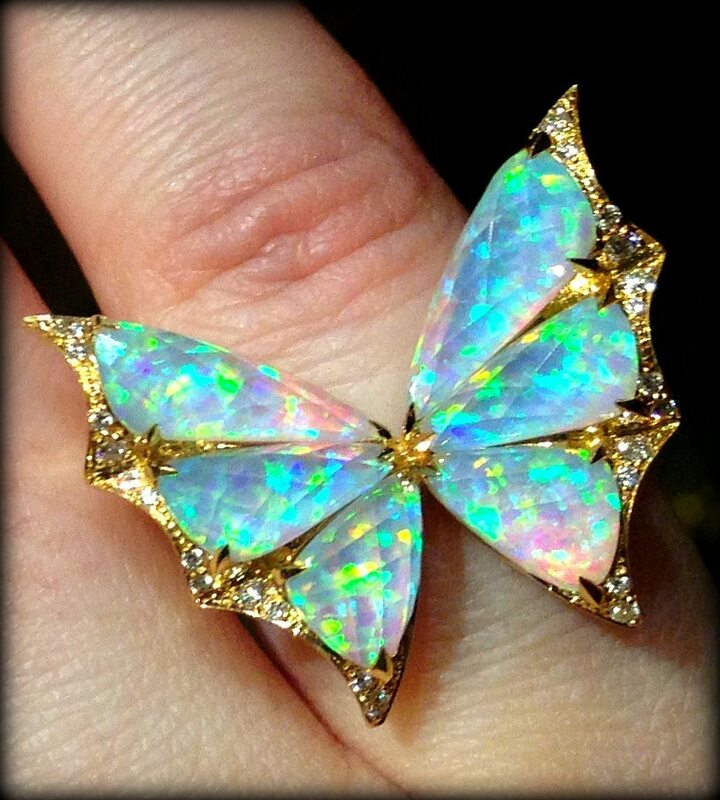 How fabulous is this ring? 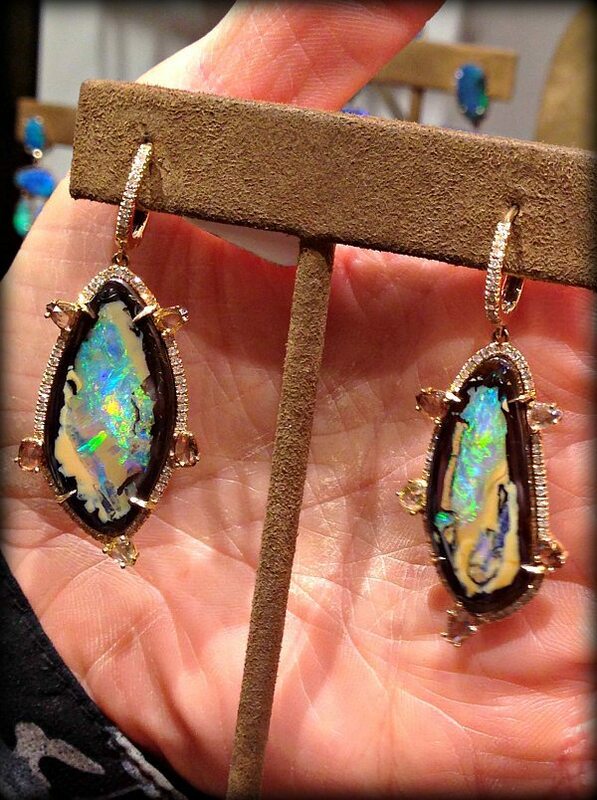 I was captivated by the unusual opals in these earrings. Have you ever seen anything quite like them? 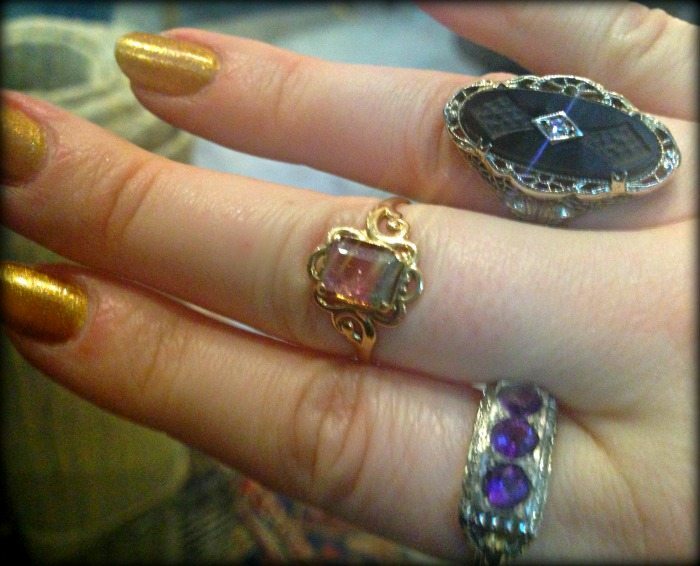 Last but not least, I visited Catbird and tried on many very tiny pretty things. 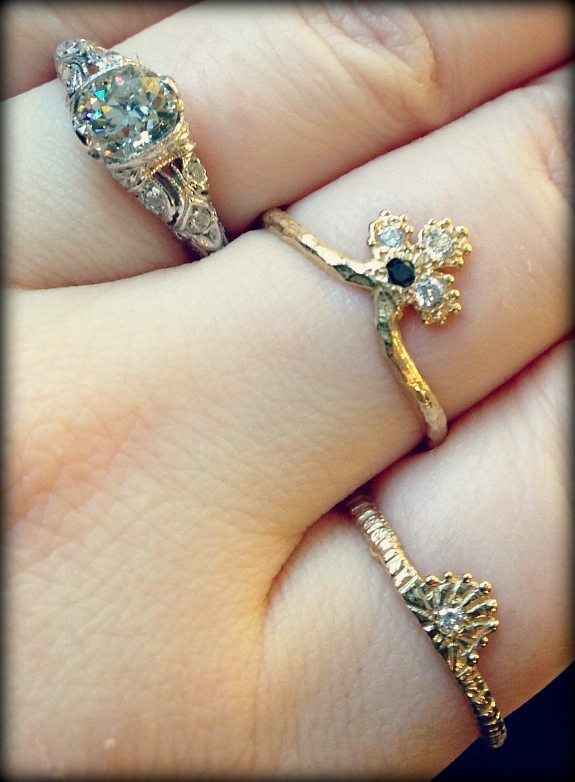 These two rings by designer Yayoi Forest have me saving my pennies. Keep an eye on my Instagram for more NYC jewelry photos, including a video of that amazing Stephen Webster ring sparkling on my hand. Special thanks to Fragments NYC, Me & Ro, Love Adorned, and Catbird for being such gracious hosts and allowing me to take these photos. I’ll be back soon, NYC. * I don’t condone shining lights of Museum art in normal situations. It actually caused a bit of excitement when a new guard came on duty and saw me with my cellphone up against the glass, flashlight app blazing. That’s how I know it was really okay: I heard the guards call their dispatcher and confirm that light was allowed in the JAR exhibit. 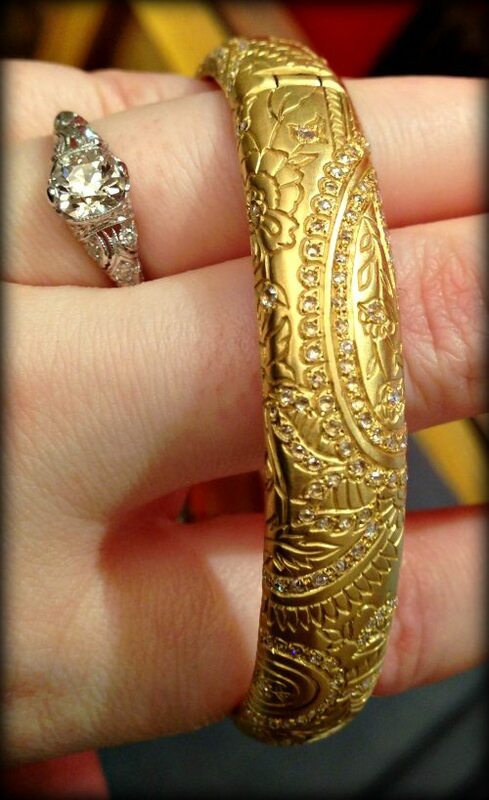 Ooh, I LOVE those delicate gold rings in the last photo. I’d wear those daily.